As Corruption Allegations Against Pro-Horse Slaughter Interior Secretary, Ryan Zinke Continue to Mount, Wild Horses & Burros Continue to Die! With that said, accusations about Zinke’s past and present misuse and misappropriation of funds go back to the time when he was a Navy SEAL. His act of portraying himself as a horse lover, issuing photos to the press of himself riding horses and setting up a photo op where he rode a horse to work in Washington, D.C. on his first day as Interior Secretary, was a great facade for his true agenda which is to slaughter horses at will and exterminate the remaining herds of America’s Wild Horses & Burros until they are extinct. I strongly urge all of you to listen to this show. The fact is that while we are all waiting to see if the Senate Appropriations Committee will vote to counter the unspeakable damage done by the House of Representatives this past August to return horse slaughter to U.S. soil and allow for the sale “without limitation or regulation” of our Wild Horses & Burros (which means slaughter), close cronies of Zinke’s including Rep. Chris Stewart of Utah and other pro-horse slaughter lawmakers under the control and influence of the Grazing organizations that want all of our wild equines gone are working with the BLM now toward the ultimate extinction of these majestic animals. What they always deliberately fail to mention or acknowledge, however, is that these Wild Horses and Burros belong to us – the American People! The nearly 50,000 Wild Horses and Burros being held captive in BLM holding facilities should be returned to the range immediately. There are tens of millions of acres that make up the Public Lands and they are entitled to live out their lives on it – free from brutal round-ups, cruelty and death. There are ways of humanely managing these herds, but the BLM has neither the knowledge or the ability to do it. It’s just a lot easier to have the contractors round them up until they are gone so that they don’t have to deal with them any more. The BLM is made up of lazy and incompetent people. This outdated agency needs to be dismantled and replaced. In fact, these scoundrels are not waiting for the legislation or the new budget to pass. They are keeping themselves very busy carrying out their deadly plans. The Bureau of Land Management (BLM) is steadily rounding up and in some cases killing wild equines at their discretion – some of whom they claim have “pre-existing conditions” that would make them unadoptable. Regardless, this is all one Big Scam. This administration has empowered these horse killers and they are taking full advantage of destroying as many of these animals as possible.This ruse may work on some people but our job, and that includes all of us, is to make sure the American public becomes aware of what their true agendas are so that they are exposed and stopped. These “un-Americans” are attempting to turn the clock back to the 1950’s when Wild Horses and Burros were facing extinction until the passage of the Free Roaming Wild Horse and Burro Act of 1971 which was signed into law by President Richard Nixon. Since then, attempts have been made to weaken the law and that has happened with the Burns Amendment of 2004 and other bad bills along the way. *** Call your two U.S. Senators as well as the co-chairs of the Senate Appropriations Committee, Tom Udall of New Mexico and Lisa Murkowski of Alaska and tell them you are opposed to horse slaughter and want horse meat inspectors to remain defunded until a federal ban can be passed… And that you want Wild Horses & Burros protected and preserved – Ask them to restore all the provisions of the Free Roaming Wild Horse and Burro Act of 1971. — Also tell your Senators that you want the BLM shut down and dismantled and a new agency with real experts who possess a profound understanding and appreciation of the land, conservation and wildlife to manage our Public Lands with care. *** Please share all this information, including the link to the radio show and take action. The Senate will be marking up language for the 2018 budget soon and the language they submit needs to include the continual defunding of horse meat inspectors and restoring the protection and preservation of America’s Wild Horses & Burros. DO WE CARE ABOUT THE HORSE, OR DO WE CARE ABOUT THE PURSE? Let them go now. Stop being crooks now. And may God forgive you I do not. It’s hard to respect Stinky’s service when he’s such a disgusting piece of trash. I simply loathe him. And I don’t believe his service record can protect him…as a fallback that he’s a true American patriot. I look at someone like John McCain who politically I disagree with. But he chose not to abandon his fellow POW when he could’ve shortened his own time. He took untold beatings that still leave their mark today. I have an easy time separating the two. I hope they find Stinky in violation of procuring that charter flight and force him to pay back those fees PLUS interest. He had no business chartering a flight for his own purpose. Who’s the entitled one now?! Republicans love to say how retired folk are “entitled” to SSI…like it’s a disease. He’s awful, but to be fair – he’s the most recent in a long line of awful, of neglect, and of kicking the can down the road for someone else to deal with. Let’s not forget, Salazar and Jewell before him, and even farther back than that! I’m especially disappointed in the last Interior Secretary, who could have at least done something to help prevent this. For example, the Obama administration had eight years – eight years – to do something constructive, four of which were under Ken Salazar whose questionable activities were connected with Tom Davis and sending wild horses to slaughter, and the other four under Sally Jewell, who said she was waiting for an NAS report and did nothing. Obama did do something. He amended EO 13112, The Invasive Species Act of 2/3/1999 to EO 13751 on 12/6/1016 to Safeguarding the Nation’s Heath from Invasive Species. There is also the matter of marrying the ratified update of the 1997 Update of the International Plant Protection Convention which married the 1993 UN Conventional of Biological Diversity through the use of synonymous language. Such words as quarantined pest for alien, exotic, invasive, pests of plants (animal, plant) allowed Article 8h to have treaty status. The June 20, 1999 Agricultural Risk Protection Act, Title IV Plant Protection Act of 2000 is very similar to the international law from the IPPC, but it was out of date as of 2005. It had been part of 2014 Farm Bill, but the animal portion of the Farm Bill had been removed. I do not pretend to know what is going on in the West other than what I read from time to time. So much of the expertise you all have is from being on the land, and from being on the land and with the herds is due to your geography. I’ve done a lot of reading and study on horse evolution. I have known my mustang mare now for 10 years and our journey together has allowed to me to know one wild horse very well. 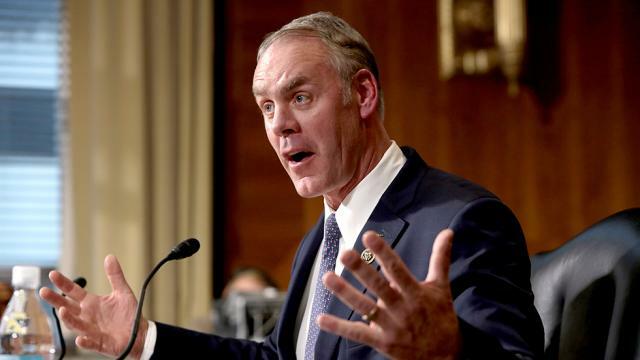 The are multiple documents from Wikileaks that are Congressional Reports either on Interior or Appropriations or Invasive Species that have addressed the cause of the mass removals from public lands. I read many of the documents that have now been hidden somewhere on the net net, altered or removed that support the position that it is the executive orders that are largely and probably illegally based on the perversion of the Lacy Act, originally passed to save exotic birds rather than eradicate them, that suggest this is illegal but behind the BLM and other agencies removal of horses. It is clearly stated in the OTA Report that control of population is a form of eradication. This we know. There is some sign the Sec. Zinke is working with a small group of consultants to use our wild horses and burros on the range as part of a Wild Horse Fire Brigade where the horses in holding could be assigned to those forest and grazing areas where there are places for them to help lower the fuel load in the ecosystems without competing with cattle—not well-equipped for this same role. You may have heard something about this. The research on it sounds logical and is based on what appears to be sound evidence, but I am unsure of where this group is in the planning process. We want the BLM to return the 22 million acres they’ve taken away from the Herd Areas. The BLM no longer even has the Herd Area maps available to the public on their “new” national website. We want all wild horses and burros in holding returned to THOSE 22 million acres. We do not support our wild ones being plopped on any areas that may not be the most suitable or safest for them, just to serve as lawn mowers.